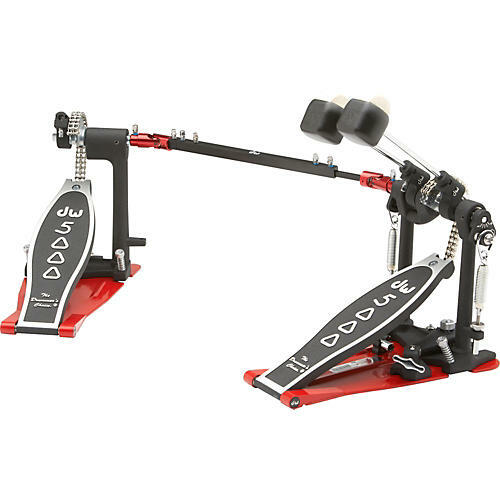 It's heel-less profile allows drums an uninhibited rocking motion that improves speed and makes for even, effortless double strokes on the bass drum. Other features include aluminum hex shafts, pedal plates, and linkages, dual side adjusting hoop clamp, 101 two-way beater, and built in spurs. These pedals can be customized to fit the needs of any player.